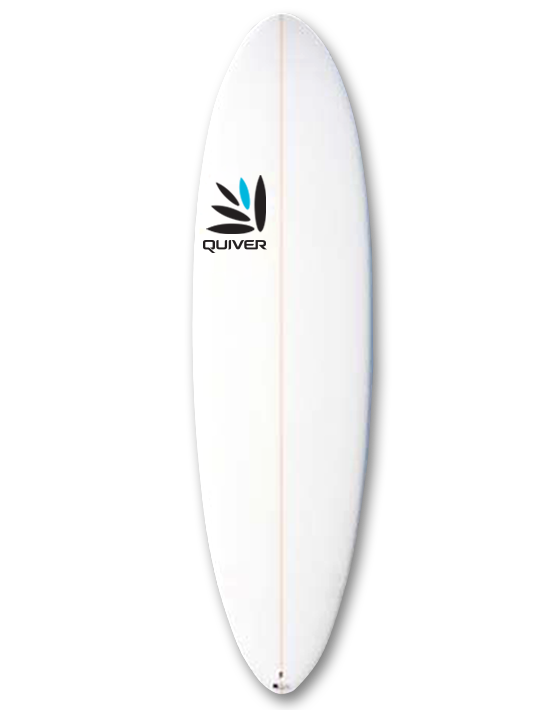 The Guilty Pleasure has a sleek curvy template with a slight hipped tail for pivot on turns combined with easy paddling. Single throughout with light double through the fins enabling you to get instant speed and maintain it through turns and flat spots. Its not a minimal, its not a shortboard. Its just super fun and easy to surf in most conditions. Whether your looking to catch every wave that comes your way or looking to improve your surfing to an intermediate level, the guilty pleasure is the ultimate in performance easy riding. Not only can you sit outback picking off the sets you can also spank it all the way to the beach!! The easier a board is to ride, the more you can achieve on it. The guilty pleasure is your 'go to board' for when you just wanna have fun. 6’ 2" 20 1/2" 2 1/2"
6’ 4" 20 3/4" 2 1/2"
6’ 6" 21" 2 5/8"
6’ 10" 21 1/2" 2 5/8"
7’ 0" 21 3/4" 2 3/4"
7’ 2" 21 7/8" 2 3/4"
Product ID: 621 Category: Boards. The dimensions in the dimensions chart are guidelines and we can completely customise a board for you.